What should have been a giant leap for womankind has turned into a stumble on the path to equality after U.S. space agency NASA cancelled the first all-female spacewalk due to a lack of a spacesuit in the right size. Linda So reports. LONDON (Thomson Reuters Foundation) – What should have been a giant leap for womankind has turned into a stumble on the path to equality after U.S. space agency NASA canceled the first all-female spacewalk due to a lack of a spacesuit in the right size. 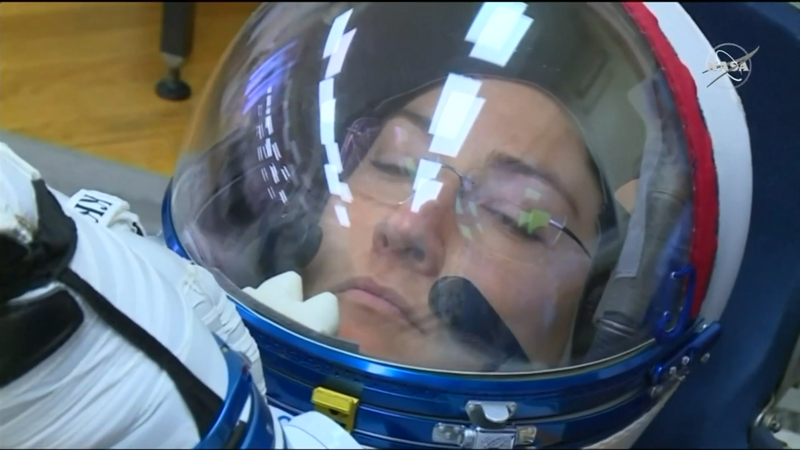 “Anne trained in M and L and thought she could use a large but decided after Friday’s spacewalk a medium fits better,” wrote spokeswoman Stephanie Schierholz​ on Twitter. “I’m super disappointed about the all-woman spacewalk not happening as scheduled this Friday but I’m also super supportive of astronauts having the authority to say ‘I would be safer using a different piece of equipment’,” wrote Emily Lakdawalla, a senior editor at the U.S. non-profit The Planetary Society.